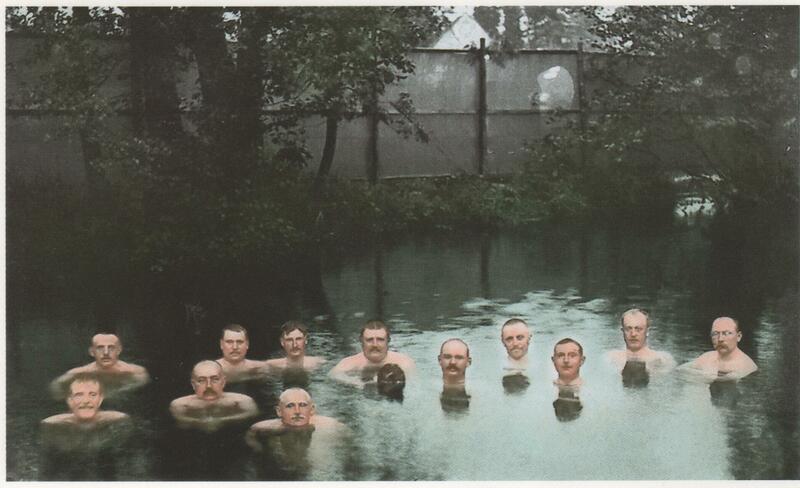 ‘Been swimming in the near-dark these past few weeks, due to starting at six in the morning. ‘Figured a photo of sunlit water would be a nice reminder of days gone by. When daylight saving stops (end of March?) there might be some light for the morning dips for a few weeks. 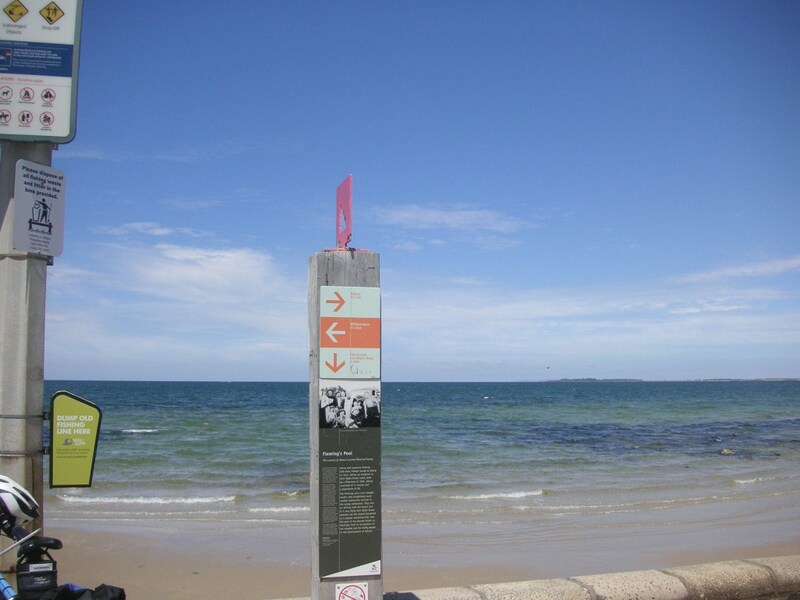 This week’s swims have been at Williamstown, save for last Sunday when I had a dip at Sunnymeade (Aireys Inlet) before heading off to enjoy the 30th annual Ashes cricket match in Anglesea. Next week (or thereabouts): Ahoy from Hanoi (or thereabouts). Gotta say that the swimming weeks are starting to merge together lately, one running into the next and into the next. 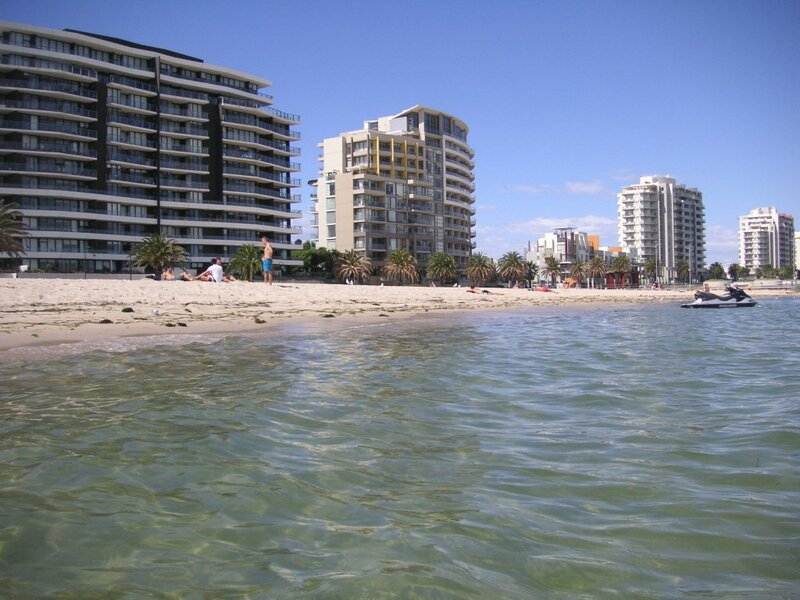 I do recall though, that on the first day of Week 37, Saturday 9 February, I had an afternoon dip at what was once called Port Melbourne or, at a stretch, Garden City. Just a little west of Station Pier and the Spirit of Tasmania dock, this area’s now called Beacon Cove. 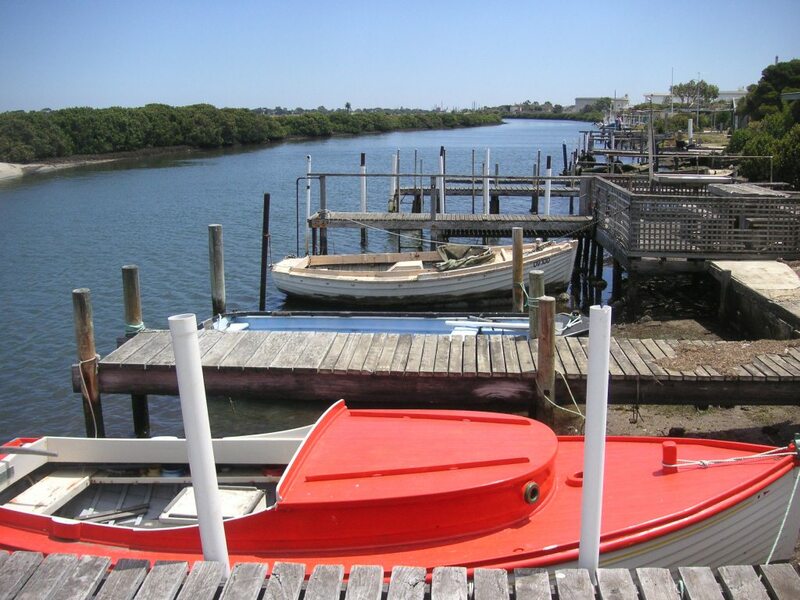 It features, if that’s the right word, high-rise living right on the water. Well, almost. Right on the sand. Well, sort of. The water was warm and deep and quite calm, save for the jet-skis – whose drivers (operators? speedsters?) were actually quite civil. Wonders never cease. As for the countdown, the 365 Swims scoreboard now says: 258 down, 107 to go. ‘Can’t say I’ve ever swum in The Kororoit Creek Swimming Pool in Albion, near Sunshine. 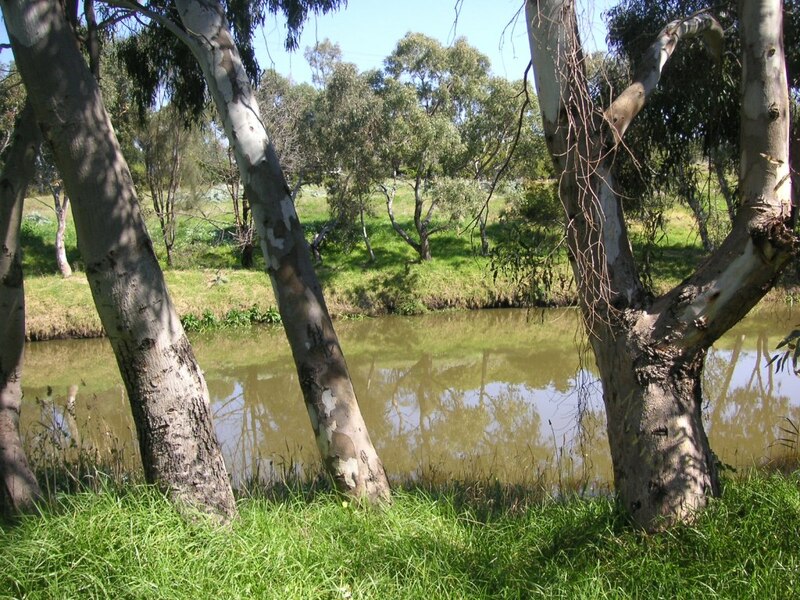 Or Kororoit Creek itself, which winds all the way down to Williamstown. 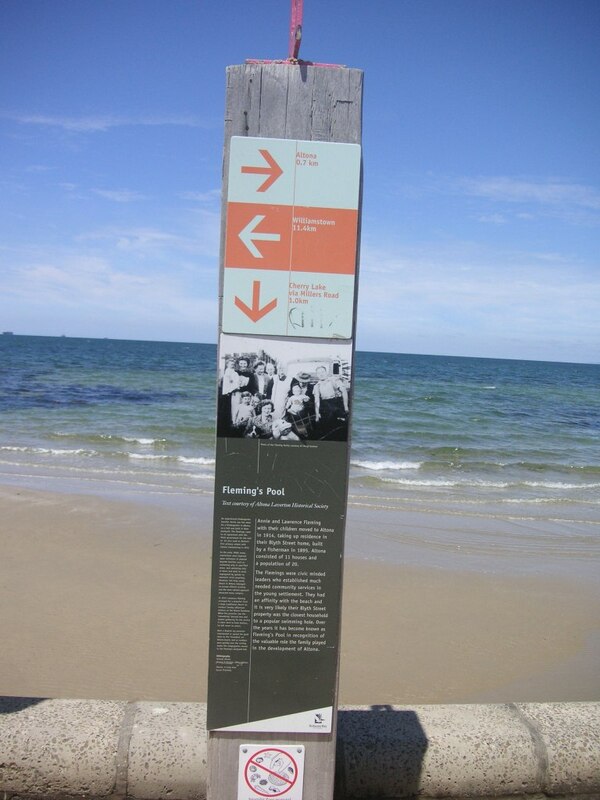 I came across some historical signs a few months back while pedalling along the Kororoit Creek bike path. 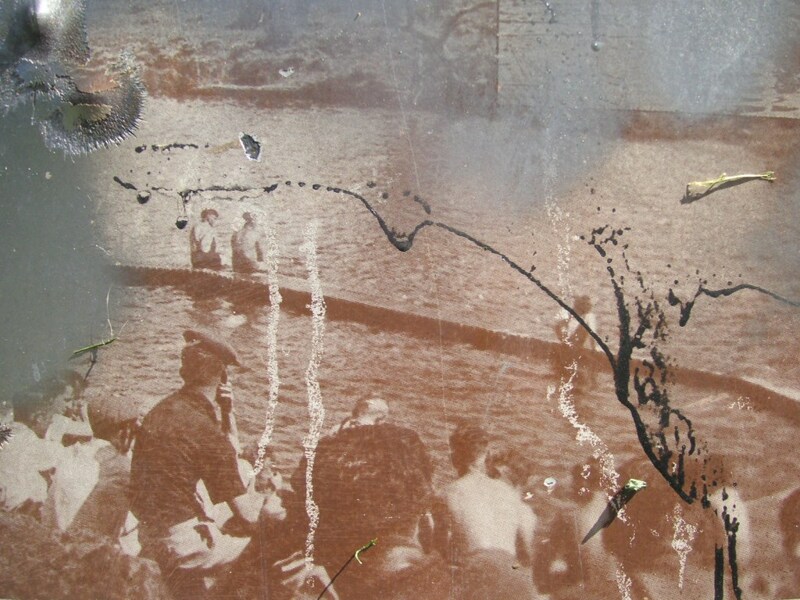 The pool was actually a swimming hole in a deep part of the creek and was popular up until the 1940s, by which time drownings and pollution led to the local council building a suburban pool. 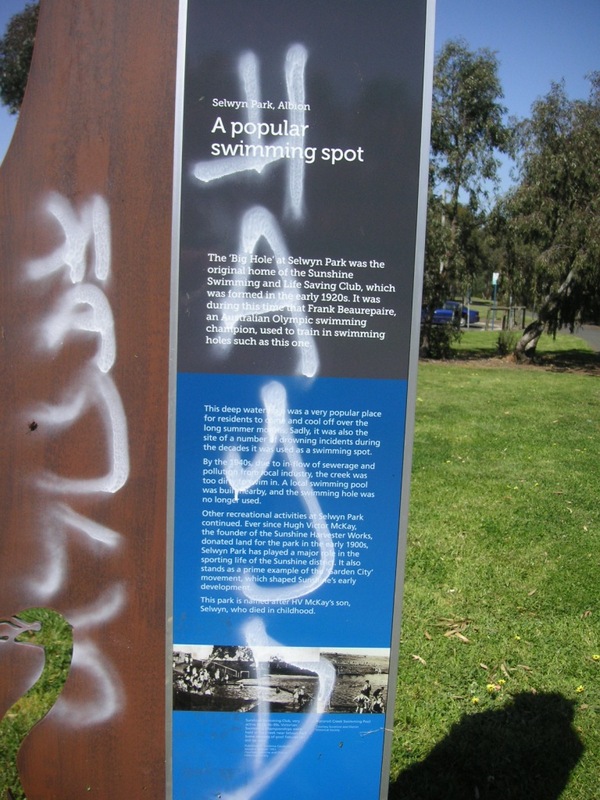 The signs by the bike path have been vandalised but you can still get a sense of days gone by. 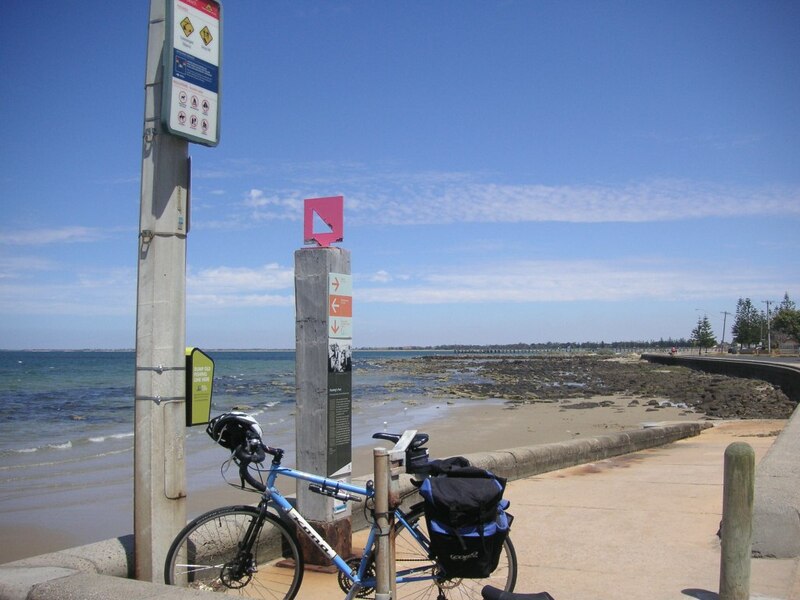 The mouth of Kororoit Creek is about a kilometre west of the Williamstown beach, just past Jawbone Marine Sanctuary. 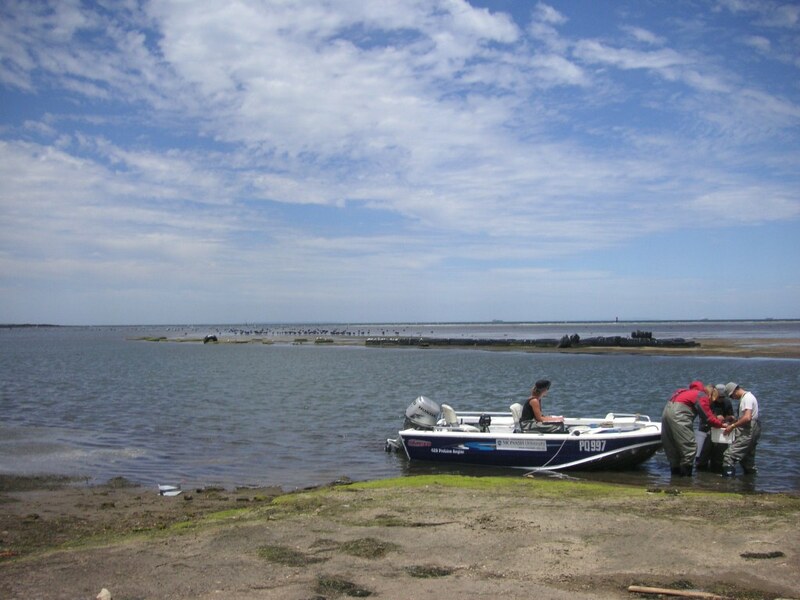 Monash University researchers at the mouth of the creek. 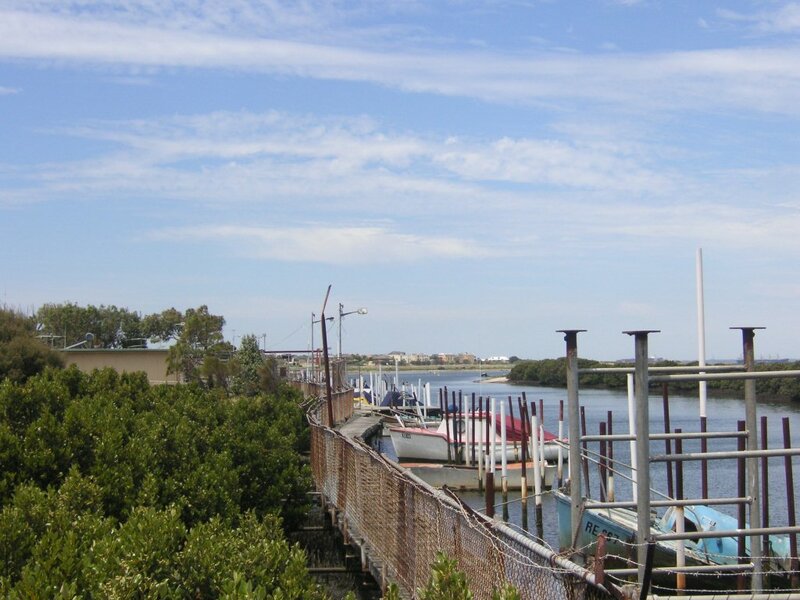 It’s a curious area – the local council has long been suspicious that the handful of angling club clubrooms are more residential that they should be. Something fishy going on, perhaps. As for the word ‘kororoit’, I think it means ‘young kangaroo’. And as for Week 35’s dips, they were in Eastern View (three), Lorne (two), Point Roadknight (one) and Williamstown (three). 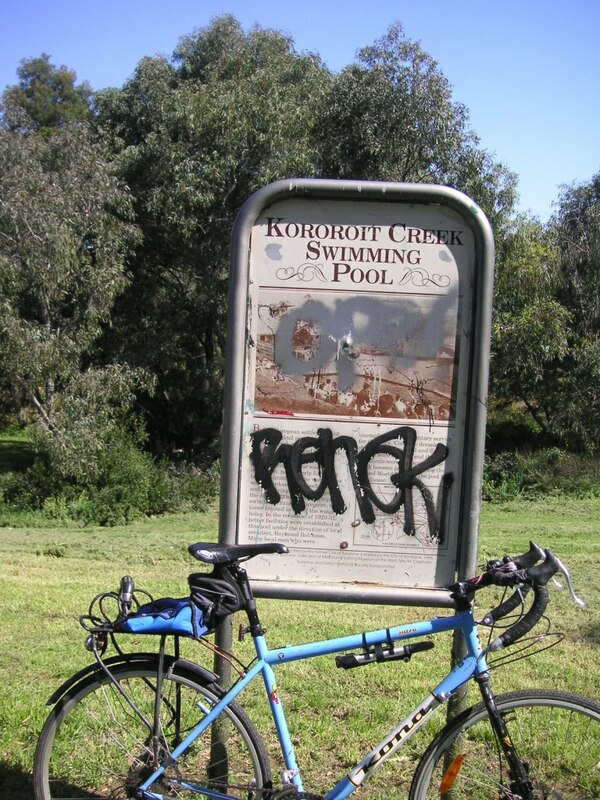 But not Kororoit Creek.